Estimate the area under the curve for the following function using a midpoint Riemann sum from to with . Find the area under on the interval using five midpoint Riemann sums. Approximate the area under the curve from using the midpoint Riemann Sum with a partition of size five given the graph of the function. 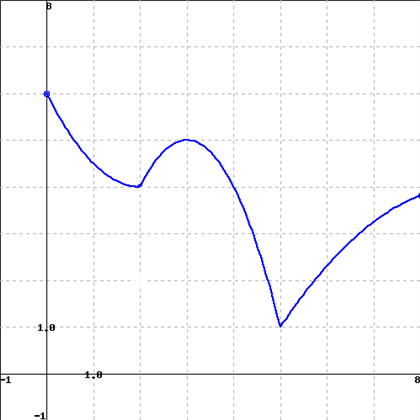 Approximate the area underneath the given curve using the Riemann Sum with eight intervals for . We begin by defining the size of our partitions and the partitions themselves. Then we find the function value at each point. We then substitute these values into the Riemann Sum formula. Thus, our intervals are to , to , and to . 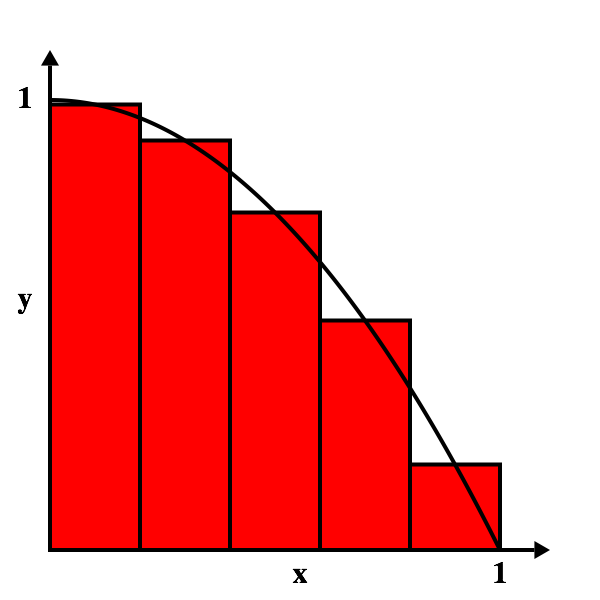 The midpoints of each interval are, respectively, , , and . Next, we evaluate the function at each midpoint. 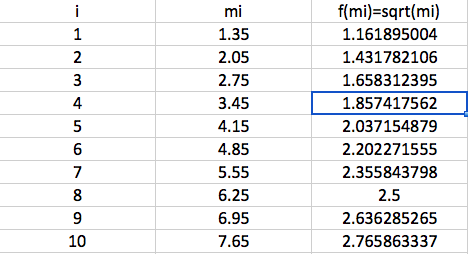 The table above gives the values for a function at certain points. Using the data from the table, find the midpoint Riemann sum of with , from to . 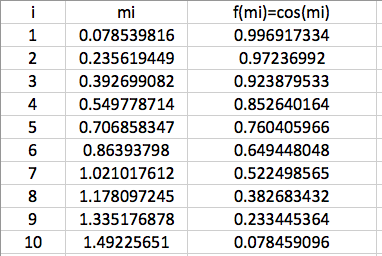 Next, use the data table to take the values the function at each midpoint. 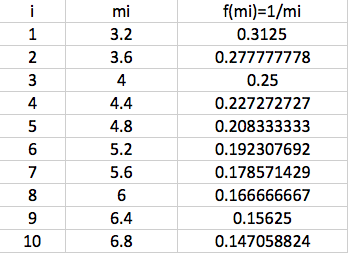 Finally, we calculate the estimated area using these values and . using the midpoint Riemann sum approximation with subintervals. where is the number of subintervals and is the function evaluated at the midpoint. The approximate value at each midpoint is below.